Here’s the scenario: The Buyer has finally found the home of their dreams and they and their real estate agent are excited that the Seller has accepted their offer. Suddenly, the agent gets an e-mail from the Seller’s agent: the Seller has found a buyer willing to pay more and is refusing to go forward unless the first Buyer meets or beats the new offer. Sound far-fetched? Not at all. In today’s real estate market the available inventory of homes for sale is very low and, as a result, competition among buyer’s is intense. The competition is driving up prices particularly in the Sacramento area which is also experiencing higher population growth. This scenario is played out with great regularity both in residential property sales (including rental properties) as well as commercial and industrial transactions. So what do you do if you are the Buyer or agent facing this situation? The key is to understand the law of Specific Performance. Specific Performance is the legal process used to force someone to honor their Contract obligations. Typically, one party (the Buyer) pursues a Court Order and Judgement compelling another party (the Seller) to perform a specific act, usually completing the sale agreed to in a real estate purchase and sale agreement. 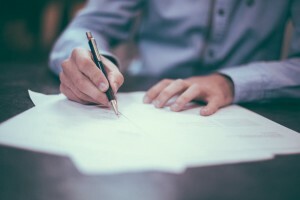 Unlike a lawsuit for money damages for breach of contract (which is what is actually occurring), a lawsuit for Specific Performance is seeking for the Court to force the Seller to perform their obligations under the Contract. As such, this is considered an “equitable remedy” forcing the seller to act fairly and in good faith towards the Buyer and giving the Buyer the benefit of what they contracted to receive. In fact, if the Seller still refuses to cooperate, the Court can actually complete the sale on the Seller’s behalf. In one recent case is which BPE Law attorneys represented the Buyer, the Seller refused to sign even after being Ordered to do so by the Court. The Court then had the Court Clerk sign the Closing documents on the Seller’s behalf. Of course, since this claim arises because the Seller has violated (breached) the Contract, the Buyer can generally also recover their attorney fees and costs incurred in bringing this lawsuit. In another case, the process through the Courts took over two years, at the end of which our client was able to purchase the property for the Contract price, get all of their attorney fees and costs paid for in escrow from the sale proceeds, and gain the benefit of the two years of property value appreciation that had occurred. (1) Unique Purpose – Specific Performance will not be granted if money alone will make the inured party whole. However, real estate is generally considered sufficiently “unique” to warrant the remedy. Section 3387 states that it is to be presumed that the breach of an agreement to transfer real property cannot be adequately relieved by monetary compensation. In the case of a single-family home which the party seeking performance intends to occupy, this presumption is conclusive. In all other cases, this presumption is a presumption affecting the burden of proof. (2) Enforceable Contract – The person seeking to enforce the Contract have either signed the Contract themselves or provided some other such as performance – such as under a lease option, or a contract for deed, or making repairs – things which a person would not do unless there was some contract benefit for them to do so. Section 3388 states that a party who has signed a written contract may be compelled specifically to perform it, though the other party has not signed it, if the latter has performed, or offers to perform it on his part, and the case is otherwise proper for enforcing specific performance. (3) Buyer Performance –The person seeking to enforce the Contract must have performed all obligations required of them up until the time of the Seller’s breach… they cannot be in default on the Contract and expect the Court to enforce it for their benefit. There are numerous other conditions and restrictions set forth in the Civil Code which can influence the availability of this remedy but, when the facts are there, this is a very effective tool in the arsenal of real estate buyers and agents. Does it really work? Here’s a real life example: In early March we were contacted by a buyer regarding a Seller backing out of a transaction involving a two million dollar commercial property. Our client was convinced that the Seller had a higher offer they wanted to go with. This property had been in contract for nearly a year and our client meanwhile had completed its due diligence, paid many thousands of dollars in deposits, arranged for financing, waived contingencies, and negotiated a lease with a tenant to take possession upon closing and at the time of closing the Seller refused to sign. Our office immediately prepared and submitted the demand to close escrow to Seller’s agent, then prepared a lawsuit and recorded a Notice of Pending Action (a lis pendens) clouding this property’s title and drafted a follow up settlement demand outlining the damages, including the value of the lost tenant the Buyer would be seeking in the complaint from the Seller. In this particular case in just less than three weeks, faced with the prospect of significant liability the Seller relented and executed the closing documents allowing our client to complete the purchase of the unique commercial property they had sought. For over 20 years, the attorneys of BPE Law Group, P.C. have been assisting our clients with their real estate, business, and other legal needs. We’re active in the communities in which we live and work and are diligent in protecting and expanding our clients’ opportunities for business and real estate ownership … and providing assistance when they’re challenged. If you have questions concerning real estate, business, or any other legal matter, give us a call at (916) 966-2260 to schedule a Consultation with one of our experienced attorneys or email Keith at kbdunnagan@bpelaw.com.